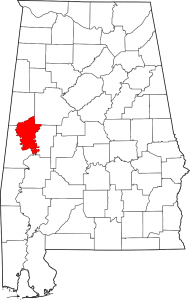 Greene County Alabama population is 9,045. making it the least populous county in Alabama. Its county seat is Eutaw, Alabama. Greene County was created by an act of the Alabama on December 13, 1819, from lands ceded to the federal government by the Choctaw Indian Cession of 1816. The county was named for Revolutionary War hero Nathaniel Greene, and the county seat, Eutaw, was named for the Battle of Eutaw Springs, in which Greene led his troops in the recapture of Charleston, South Carolina, from the British. 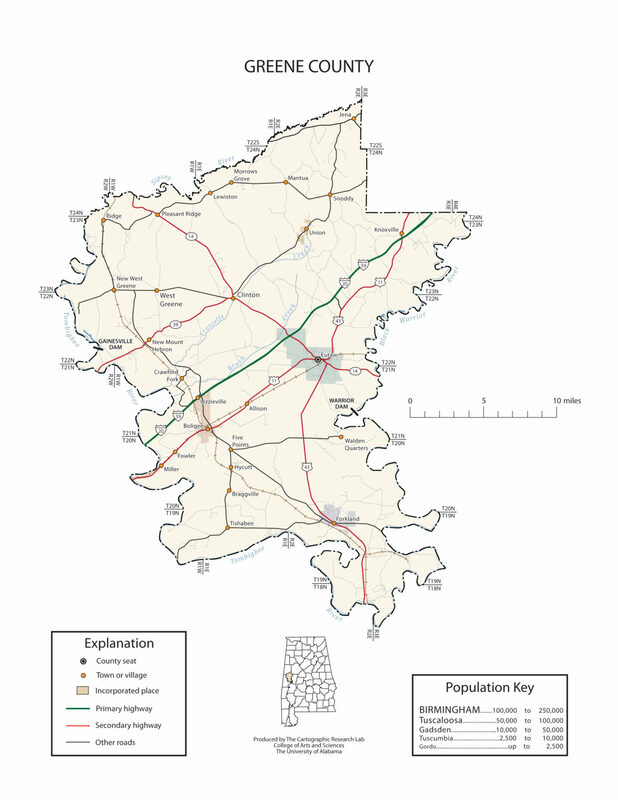 Comprising approximately 631 square miles, Greene County lies in the west-central area of the state. It is bounded to the north by Pickens County and Tuscaloosa County, to the east by Hale County, to the south by Marengo County, and to the west by Sumter County. The Tombigbee River flows along the western border of the county, and its tributary, the Sipsey River Swamp flows along the northern border. Other tributaries of the Tombigbee, including Taylor, Brush, and Trussells creeks, also intersect the county. The Black Warrior River runs along the eastern border until it meets the Tombigbee at Demopolis, just below the southern tip of Greene County, in Marengo County. The town of Eutaw was settled around the same time that Greene County itself was created on December 13, 1819, and was originally known as Mesopotamia.